Ok, I don't know why the quality of these pictures is SO bad, I should hopefully have a camera in the next two weeks! I went into Superdrug looking for a bright pink lipstick. Obviously I wasn't gonna come out with just one item.. 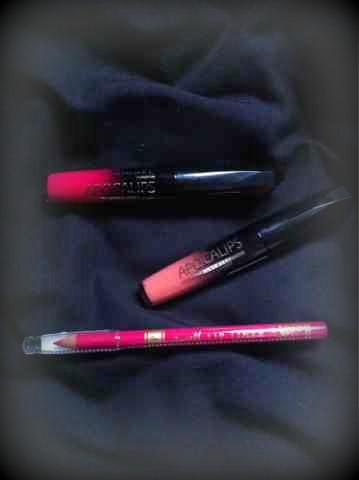 In a recent Wednesday Wishlist I said I wanted to try the Rimmel Apocalips, so I gave in. I picked up Apocalyptic and I love it! It's so easy to apply. I then got this Barry M lip liner in 2 Dark Pink. 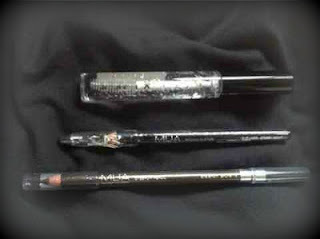 It was 3 for 2 on all makeup, so I chucked in Rimmel Apocalips in Luna too! The lip liner was £2.99 and the Apocalips £5.99 each. 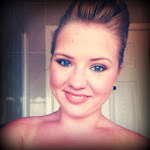 I'm getting a spray tan this week ready for my 18th, so I need my body to be hair and dry skin free. Lovellyyy... I picked up this baby oil for shaving my legs with, it makes my legs super soft, for £1.35. 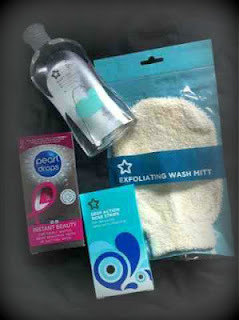 I then grabbed this exfoliating wash mitt for 99p to use with my Soap and Glory Scrub of your life. On a whim, I picked up the Pearl Drops Instant Beauty whitening toothpaste for £1.99 and the Superdrug Deep Action Nose Strips for £2.59. 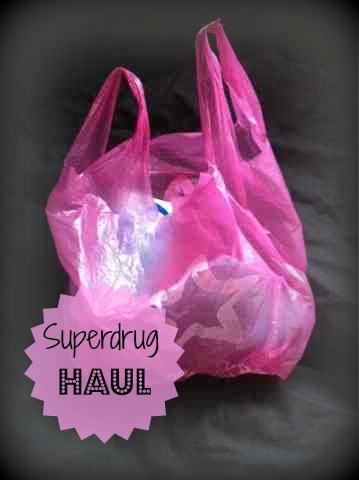 I had a couple of pounds on my Superdrug Beauty Card which saved me £2.00 and I used my NUS student discount to get 10% off. I saved £8.08 (including 3for2) which was impressive! I'll let you know if I'm blown away or really disappointed by any of these bits! Have you tried any of these products or anything similar?